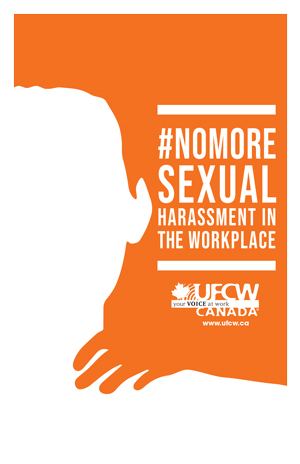 #No More Sexual Harassment In The Workplace Brochure - 5.5"x 8.6"
Share Your Thoughts. Get Involved. Take Action! 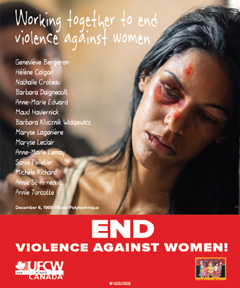 25 years after the murders at the École Polytechnique de Montréal, violence against women and girls is still a part of our daily lives. Recently American feminist Anita Sarkeesian was threatened with a “Montreal-style massacre” unless she cancelled a speech at Utah State University. We need to increase public awareness of violence and decrease public tolerance. 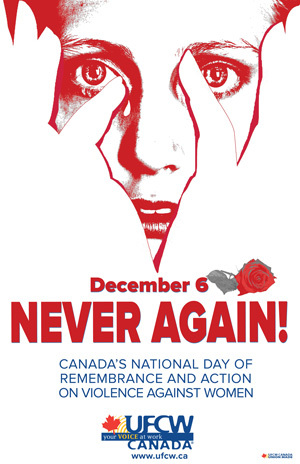 This year the Rose Campaign will launch #NOTokay to empower people to take every day action on violence against women. #NOTokay provides a social media response to women belittled, objectified and attacked in images, videos, tweets, news clips and posts. 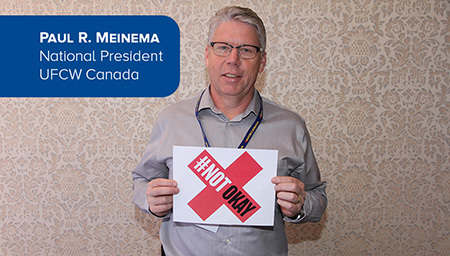 When you come across an item you think is not okay: call it out as #NOTokay. The #NOTokay tools go live November 25 at www.notokay.ca. UFCW Canada supports the Light the Night campaign. Light the Night against violence is lighting monuments across the country on December 6. Check out the Light the Night page on www.rosecampaign.ca for venues from Montreal to Vancouver that have already committed to light up for December 6.